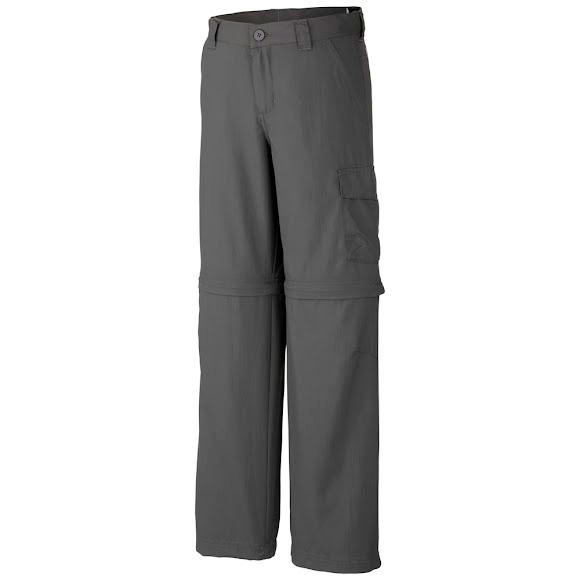 Perfect for outdoor activities on days that start out chilly but gradually warm up, Columbia's Silver Ridge III Convertible Pant quickly unzip into shorts, while wicking fabric and built-in UPF 30 sun protection provide comfort, versatility and protection. Perfect for outdoor activities on days that start out chilly but gradually warm up, Columbia&apos;s Silver Ridge III Convertible Pant quickly unzip into shorts, while wicking fabric and built-in UPF 30 sun protection provide comfort, versatility and protection. Ultraviolet Protection Factor (UPF) is a measure of the percentage of ultraviolet sunlight that reaches your skin through a given fabric. Columbia Sportswear was the first global apparel producer to earn the The Skin Cancer Foundation&apos;s seal of recommendation for garments with UPF 30 or greater, the minimum amount specified by The Skin Cancer Foundation for sufficient protection.